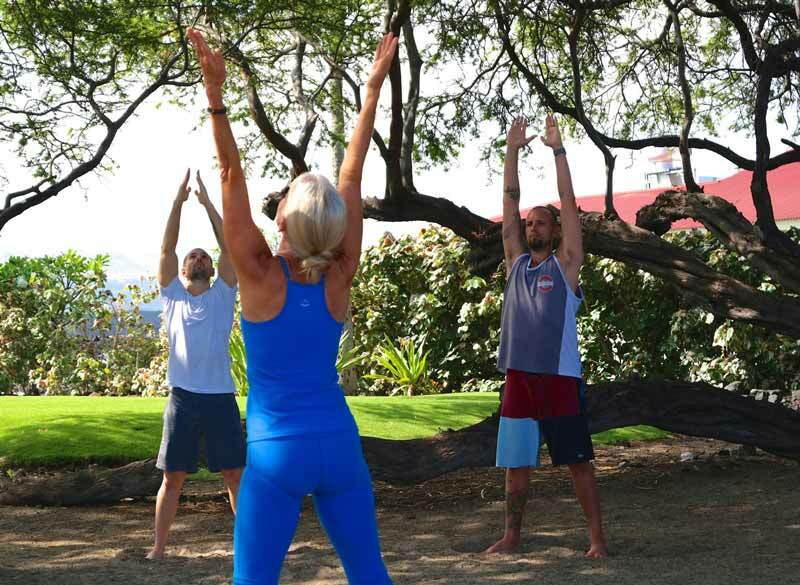 One of the most spectacular settings in the world, Anaeho’omalu Bay, a place of peace and protection, is the yoga studio of your dreams! 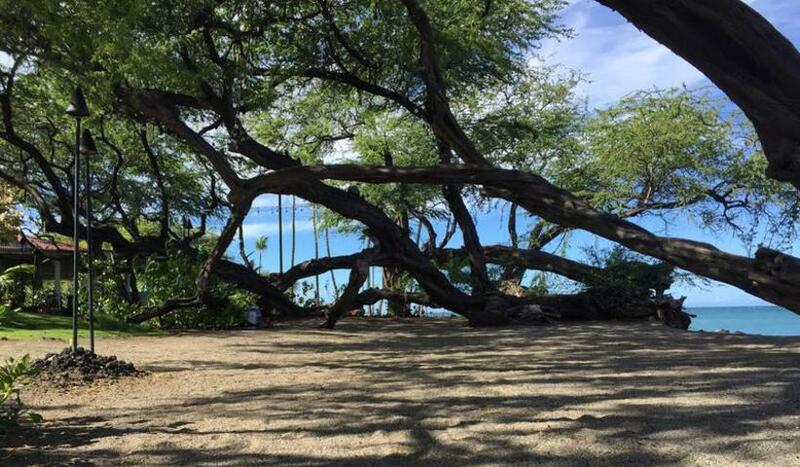 Beneath the shade of the old Grandmother Kiawe trees right next to the ocean, the beauty and atmosphere alone elevate you to the harmony of Hawai’i. Calley O’Neill’s FULL BODY ELIXIR will help you transform stress, pain and negativity into energy, which you can focus toward expressing your highest potential, now. Research proves what we already know. There is nothing better for your health and happiness than coming fully into the present moment and skillfully dissolving stress – every day. Green Exercise (outside with trees), Blue Exercise, (near a large body of water), dynamic stretching, and Earthing (bare feet touching the Earth) are well known to maximize the body’s deep healing capacities. Yoga and qigong have physical, mental and emotional benefits that fill volumes. Deep, slow, rhythmic breathing (especially the sea air) revitalizes the nervous system. Beauty soothes your mind and awakens your Spirit. The sky is medicine for your mind. 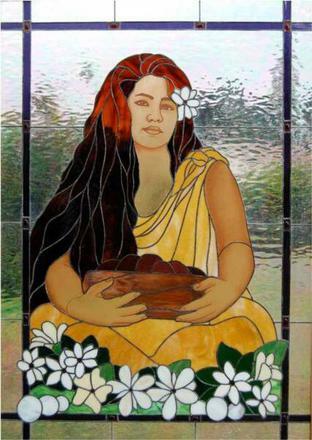 Together, nature, intention, and THE FULL BODY ELIXIR create an experience honored as THE BEST YOGA EXPERIENCE ON THE BIG ISLAND for five years running. Calley’s teaching is a deep, creative, fun fusion of yoga, qigong, deep breathing, and isometrics in a slow flow of practical love and activated kindness. The practice lengthens muscles, flows blood into them, making muscles more resilient, and healthier. 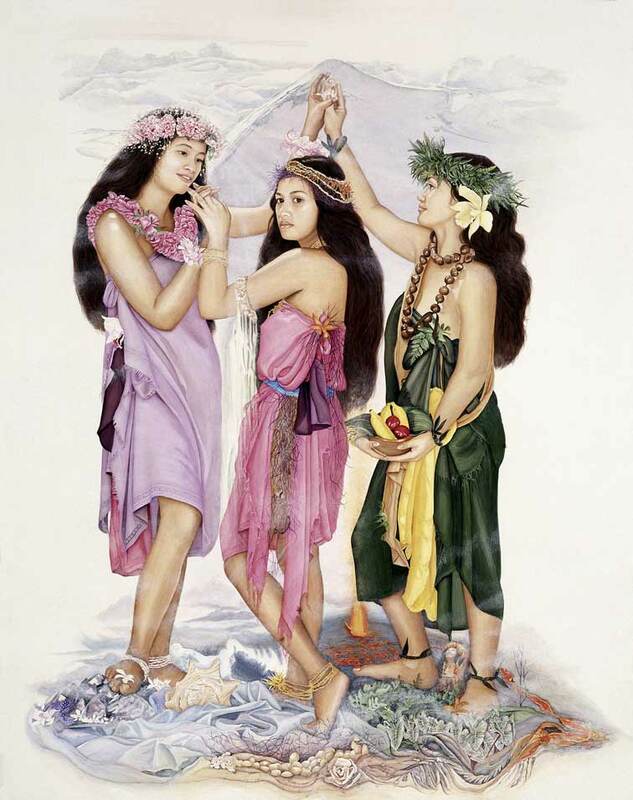 Calley guides the integration of movement and breath with her love of Hawai’i in an inspiring guided moving meditation attuned to those present. Having directly experienced the benefits of a daily practice for dissolving pain into harmony, Calley emphasizes the inestimable benefits of having a daily mind/body/spirit practice. Come open the Space for Grace. in The World's Most Beautiful Yoga Studio! Practice of THE FULL BODY ELIXIR may be hazardous to your stress. Daily practice of this complete yoga system may be addicting. Youthful vitality and happiness will surely result.